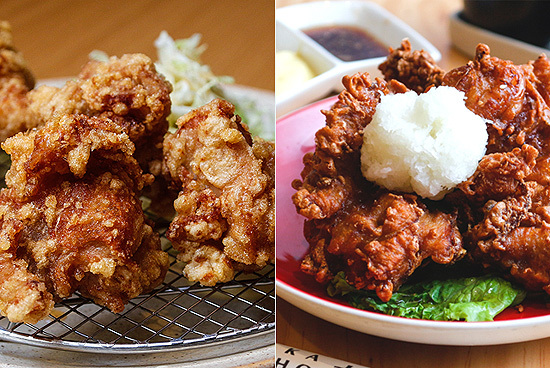 Where can you find the best Japanese fried chicken in the city? 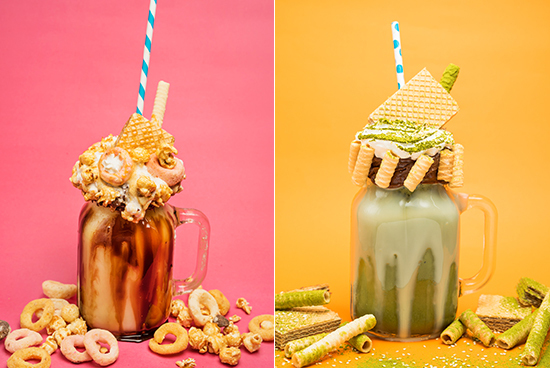 (SPOT.ph) Let’s say it together: "kah-rah-ah-ge." 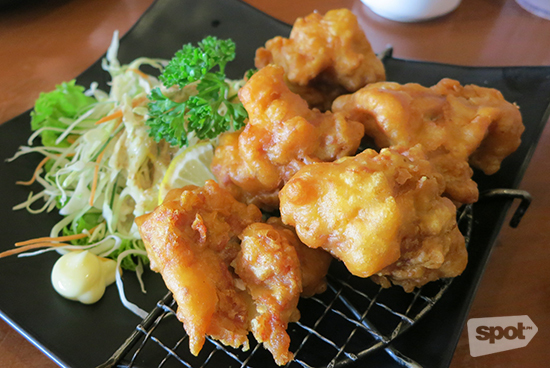 Chicken (or tori in Japanese) karaage is Japan’s own version of fried chicken. What makes this deep-fried favorite different from other types is the marinade. 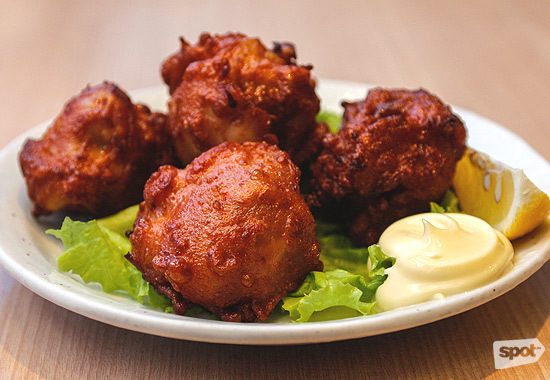 Expect familiar Asian flavors since karaage is usually seasoned with soy sauce, garlic, and ginger, then coated with a light batter. Crisp on the outside, moist and juicy on the inside—these are the elements that make a seriously awesome chicken karaage. 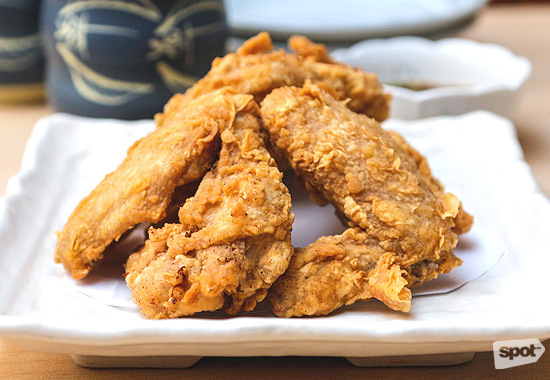 Boneless chicken fried to a crisp, Ukokkei’s version is tame when it comes to flavor but wild when it comes to crunch. It's delicious when you start craving a break during your ramen run. The mildness is a good side dish to balance their steaming-hot, spicy tantanmen, for example, but not enough of a contender when you want to make a meal out of it. Ukokkei has branches at 822 Paseo Tesoro, Arnaiz Avenue, Makati City; SM Megamall, Mandaluyong City; The Tuscany, McKinley Hill, Taguig City; and A. Mabini Street, Malate, Manila. 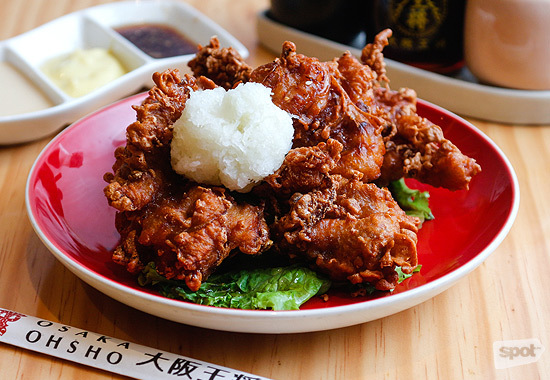 Hip chef Takashi Kawasaki knows how to churn out impressively crispy fried chicken. The golden-brown skin flaunts a satisfyingly crunchy exterior that envelops still-juicy meat. The flavor is slightly timid, but this issue could be solved with an extra serving of teriyaki or hot sauce. Takashi Japanese Cuisine is at Pioneer Center, 8006 Pioneer Street, Kapitolyo, Pasig City. Read more about Takashi. We love the fact that at Mitsuyado Sei-Men, you can let your karaage wait a bit as you enjoy their signature tsukemen and still end up with crispy and delicious fried chicken. It's not oily and one bite is all you need to taste the spices in the chicken's marinade. Bonus: Eating at Mitsuyado Sei-Men makes you feel like you’re in a Hayao Miyazaki film, and who wouldn’t want that? Mitsuyado Sei-Men is at 22 Jupiter Street, Bel-Air, Makati City; and Blue Bay Walk, Macapagal Avenue, Pasay City. 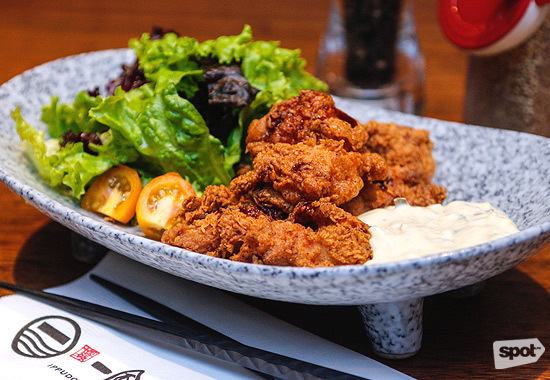 Ippudo's fried chicken is served with a duo of sweet and tartar sauces, but the dish is flavorful on its own. It's just at the right level of salty and savory. Our tip is to squeeze some lemon over the golden, deep-fried chicken to brighten up the flavors. Ippudo is at 3/F Mega Fashion Hall, SM Megamall, Mandaluyong City. Read more about Ippudo. You’ll find three beautifully browned chicken wings at Tsukiji. These babies are surprisingly hefty so make sure to use the side of delightfully tart ponzu sauce. The zestiness of the sauce masks the chicken’s oiliness very well. This karaage is a little on the pricier side, but you'll definitely find value in those flavors. Tsukiji is at 900 Arnaiz Avenue, Makati City. Osaka Ohsho has branches at 3/F SM Mega Fashion Hall, Mandaluyong City; and SM North EDSA, Quezon City. Read more about Osaka Ohsho. Ramen Nagi’s version takes Asian flavors to the next level with the unmistakeable taste of ginger distinct in every part of the karaage. Crunchy to the bite and bursting with juices, who knew that these little chicken balls would taste bigger (read: bold flavor) than they looked? This karaage is a revelation. Click here for a list of Ramen Nagi branches. Read more about Ramen Nagi. Leave it to wunderkind chef Bruce Ricketts to recreate chicken karaage in the most innovative way. At Ooma, none of the dishes are conventional run-of-the-mill Japanese fare, so don’t expect their karaage to be ordinary either. 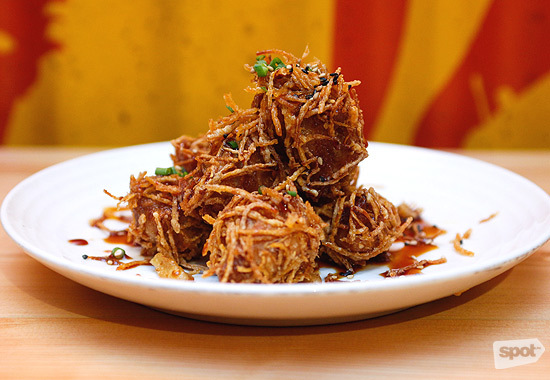 Ooma’s fried chicken is texture personified with its crisp soy-and-vinegar-glazed skin covered in crunchy sweet potato crisps. It might sound strange at first, but don’t knock it till you've tried it. Ooma is at 3/F Mega Fashion Hall, SM Megamall, Mandaluyong City. Read more about Ooma. 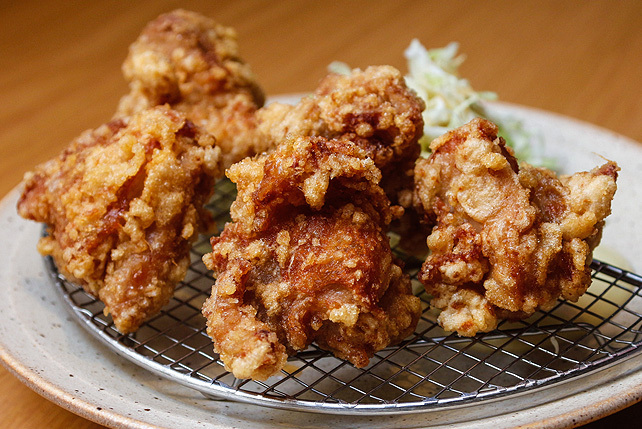 Known for (arguably) being one of the best ramen places in town, many people might overlook Yushoken’s tori karaage. But don’t, because this ramen joint’s version is absolutely delicious. Incredibly moist, the gorgeous chicken oozes savory juices with every flavor-filled bite. 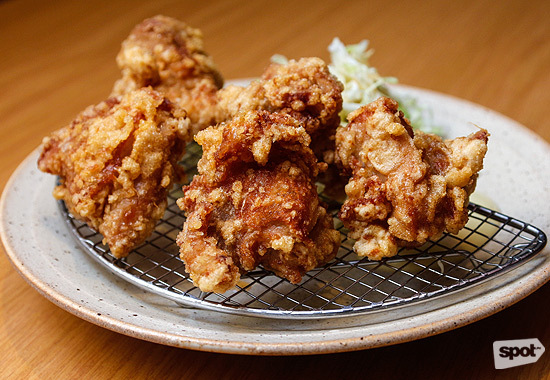 While the taste is spot-on, there might be one thing people might look for in this chicken karaage: crunchy battered skin. Ramen Yushoken is at Molito Commercial Center, Alabang, Muntinlupa City. Read more about Ramen Yushoken. 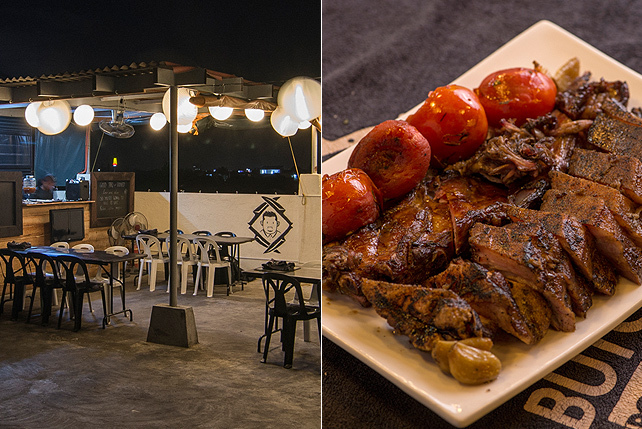 The karaage became a huge hit at Chibi's Kitchen in Alabang so it was only logical to open a restaurant dedicated solely to it. 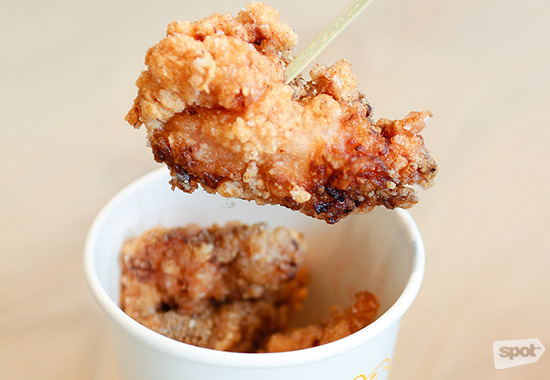 What makes a spectacular chicken karaage? Chibi’s is your answer. Flavorful, juicy boneless meat enveloped in light-as-air, perfectly crunchy batter with a wonderfully tasty oomph—this totally hits the spot. 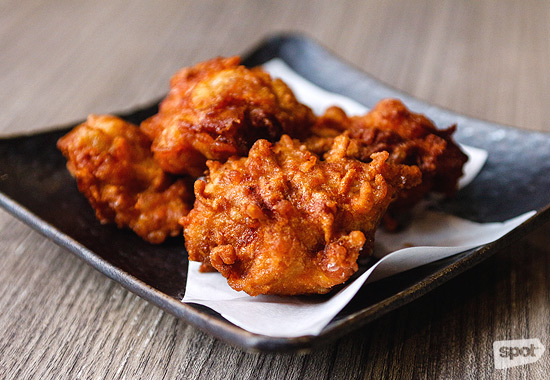 Have this karaage as is or try it with one of its 10 sauces (plus two extra spices!). The price can’t be beat either, giving you major bang for your buck. It's definitely a winner. Chibi’s Karaage is at G/F SM Light Mall, EDSA corner Madison Street, Mandaluyong City. 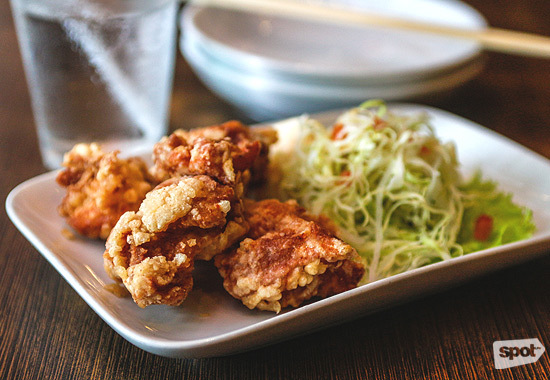 Read more about Chibi's Karaage.